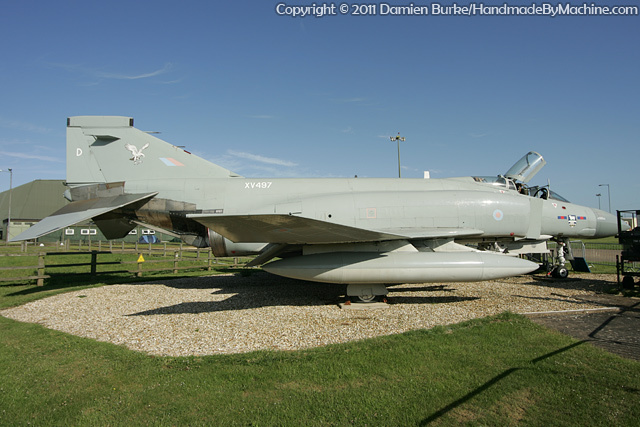 Saved from scrapping by 23 Squadron, XV497 was repainted in a Falklands colour scheme by them and roaded from Coningsby to Waddington to be put on display outside the 23 Sqn HQ within RAF Waddington. Reintroduced to public display at the 2002 airshow, she was usually opened up for visitors to have their photos taken sitting in the cockpits. Still earning her keep after all these years! Her official role was that of ground instruction. In late 2012 she was disposed of to Everett Aero and transported in dismantled form to Bentwaters.